Hudson County Prosecutor Esther Suarez announced that an arrest warrant has been issued in connection with the August 9 murder of Leander Williams. On August 18, 2016, an arrest warrant was issued for Daequan Jackson, age 18, of Jersey City, charging him with Murder in violation of N.J.S. 2C:11-3a(1)(2), a first degree crime; two counts of Aggravated Assault in violation of N.J.S. 2C:12-1B(1); and various related firearm offenses. On Tuesday, August 9, 2016, at approximately 11:25 p.m., Jersey City Police were dispatched to 517 Communipaw Avenue in Jersey City on a report of shots fired. Upon arrival, police found an unresponsive male with an apparent wound to his upper body. The victim was later identified as Leander Williams, age 17, of Jersey City. The victim was transported to Jersey City Medical Center, where he was pronounced dead at approximately 12 a.m. on Wednesday, August 10, 2016. Police Officers also found a female victim, age 16, with an apparent wound to her upper body. She was transported to Jersey City Medical Center where she was treated and released. Police Officers found a second female victim, age 12, in a nearby restaurant with wounds to her upper body caused during the same incident. The second victim was also transported to Jersey City Medical Center for treatment of her wounds where she was treated and released at a later date. 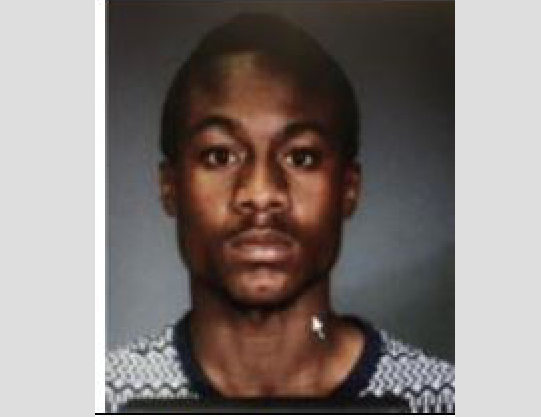 Anyone with information as to the current whereabouts of Daequan Jackson is asked to contact the Hudson County Prosecutor’s Office Homicide Unit at (201) 915-1345 or leave an anonymous tip on the Hudson County Prosecutor’s Office official website at http://www.hudsoncountyprosecutorsofficenj.org/homicide-tip/. All information will be kept confidential. Jackson should not be approached and he should be considered armed and dangerous. A photograph of Jackson is attached.